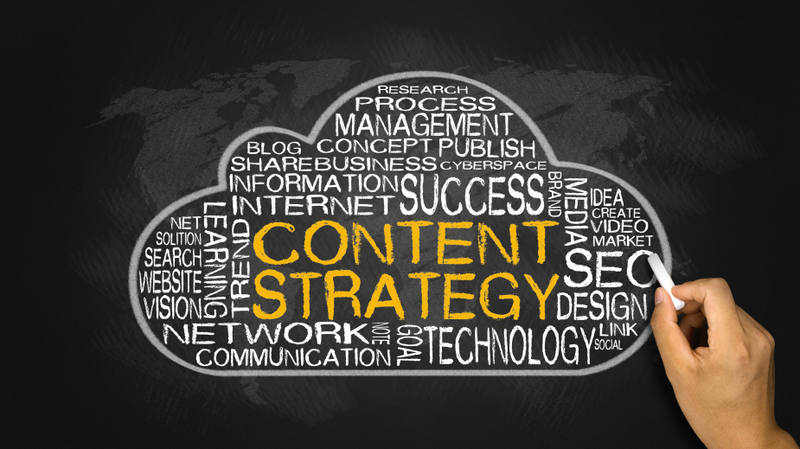 It’s very easy to get in the habit of publishing only promotional content on your website. You spend so much time trying to get people to purchase your products or services that when you do get them to your website you want to really seal the deal. But too much promotional content will quickly turn potential customers away. They’re looking for what’s in it for them, so focus on providing them with educational content that demonstrates your expertise in a “non-salesy” way. Educational content should be informative, interesting and relevant. This gives you a more authoritative voice and gives you the edge over the competition who may not be posting any educational content at all. If you are focused only on getting people to buy your product or service, you are probably going to circle the drain for a while before going completely under. Instead, focus on helping people get to know you so they start trusting what you have to say. Prove that you know what you’re talking about by giving them information about your industry and a taste of your expertise through your blog content. Many small business owners get side tracked on the human element of running a business. Sure, you want your business to succeed, but you also want to have a face behind your business. Offering educational content is a step in the right direction, but you also want your followers to trust you. Trust is something that’s built upon being real. In order to build this trust, you want to show the human side of your business. Along with talking about relevant industry topics and educational content, provide some insight on topics you feel are important. If there is a hot topic in your industry, don’t be afraid to be real and express your feelings around what is going on. Of course you want to stay as professional as possible, but being who you are is an important part of building trust. Ryan Lee is a lifestyle entrepreneur that I met several years ago when he co-hosted a workshop on running membership sites. Ryan is about as real as it gets. Check out this snippet of a blog post he wrote about his 42nd birthday and the mistakes he’s made, even though he has a highly successful business. A best practice you don’t want to skip is to optimize your content for SEO. You want your content to be found by the people searching for your topics. Take the time necessary to research keywords so you know what terms people are most commonly searching for. However, you don’t want to over-stuff your content and you definitely don’t want to write in a way that sounds like you are only looking to rank well in a search. Your writing should remain fluid and your keywords should flow right through your content as though they weren’t carefully thought out before writing your sentence. 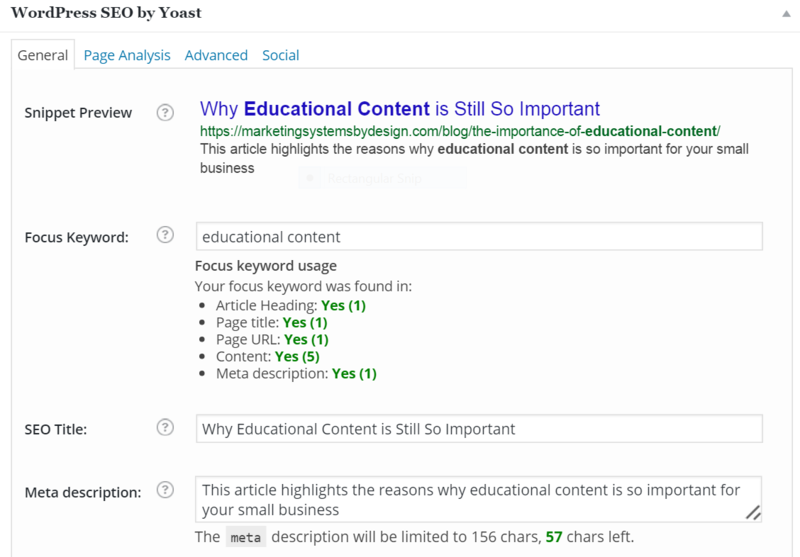 Notice that for this article, we’ve optimized the title and content for SEO using the WordPress plugin, Yoast. One of the worst things you can do when offering your readers content is to publish badly written content. Sure, the message may be great and educational, but your readers don’t have the time to work to find the point of your message. Also, don’t be long winded. Shorter, more to the point articles are generally read more than longer articles that seem to go on and on – unless someone is doing in-depth research on the topic. People are busy and constantly on the go. Most of the time they merely scan the content, so getting them to see the most important information is imperative. You may or may not end up getting a sale from a reader who is interested in your website, but if you provide quality content that is industry-related and sales pitch-free, they are much more likely to recommend your website to other people who may be in the market for your services. Building trust and quality content go hand-in-hand. If content is king, trust is the queen. You need both in order to turn a reader into a potential customer. And if your content is good enough, you will never need to give them a sales pitch. They will be knocking on your door asking to become a customer. For more ways to grow your business or ideas on creating the perfect content for your website, sign up for the Strategic Marketing Tips blog at Marketing System by Design.